I have, over this period, tried each of the A/R/I options - none of which were successful. 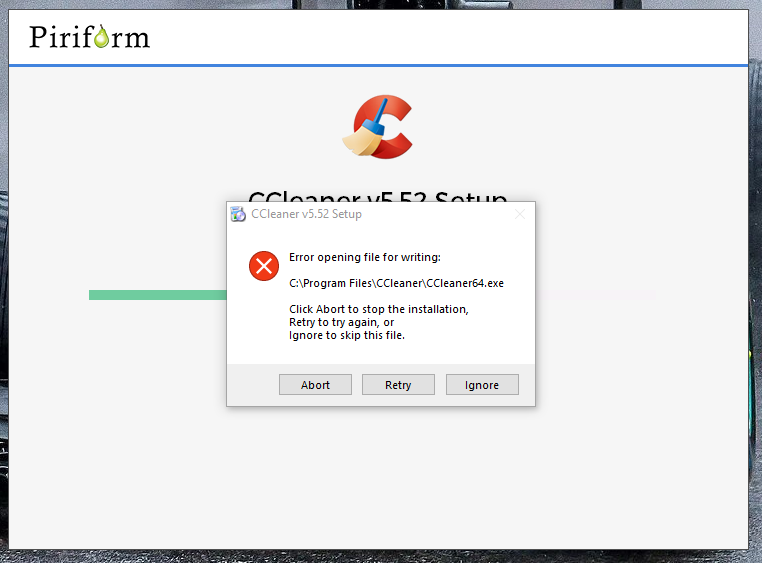 Via this forum I have seen a couple of 'suggestions' which very loosely were close to my error and I have tried them, one being to disable Malwarebytes Premium (never had to do this before) and the latest being to download CCleaner 'Slim'. Both, as I say, were attempted and both resulted in the same outcome. I am a long time user and advocate of CCleaner but this is now getting tiresome, I have more important work to getting on with rather than trying time after time to get this irritating update applied. Any suggestions/resolution would be appreciated! Hazlenut: Are you sure you are not a witch? That suggestion cured it - thank you! Glad to hear you are up and running again.